Sports MOBA Steel Circus is set to begin its closed alpha test #3 on April 4 through April 7. Players who have a key from a previous test are able to join in. Shani, the fierce female Champion that was frequently present in Steel Circus' teaser images and videos should be playable during this beta. 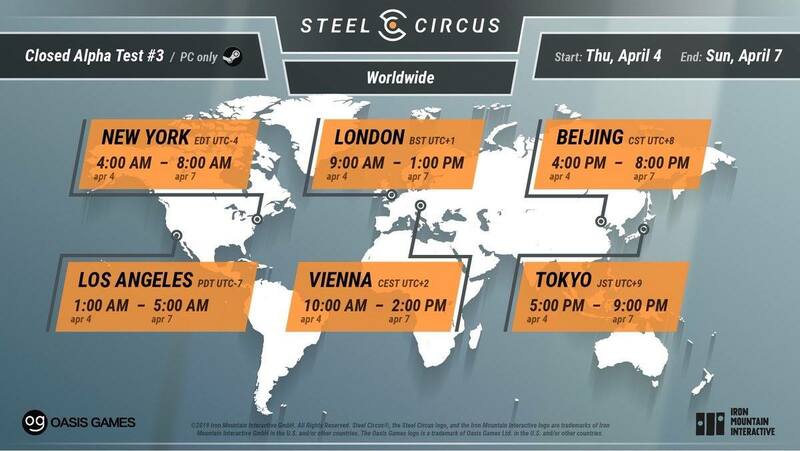 Take a look at the alpha test times below according to your timezone. Read our impressions on Steel Circus to see if this game tickles your fancy. One word instantly comes to mind: Speedball 2: Brutal Deluxe, only with less ice-cream.